This great classic clearly shows the style of Alfred Gratien. 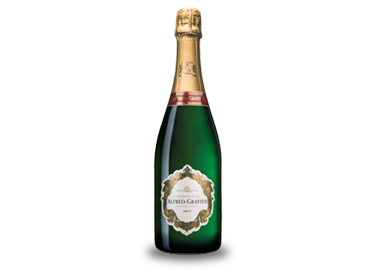 It’s a refined blend dominated by fruity Pinot Meunier combined with the legance of Chardonnay. Chardonnay 46% – Pinot Noir 29% – Pinot Meunier 25%. A very light, beautiful, golden colour. Fine, extremely long-lasting mousse. Bouquet: Citrus fruits, mangos, peaches and apricots. Palate: A wonderful balance of aromatic strength and the freshness of exotic fruits. A refined blend in which the elegance of the Chardonnay melds with the fruitiness of the Pinot Meunier and the enduring flavour of the Pinot Noir. That is the art of champagne production.